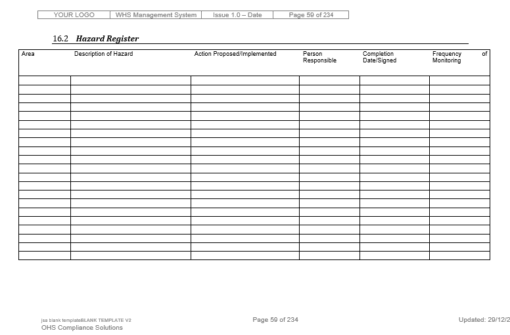 The Sole Trader WHS Manual is perfect if you are a sole trader who needs to implement a Safety Manual to meet your legislative and client Safety requirements. 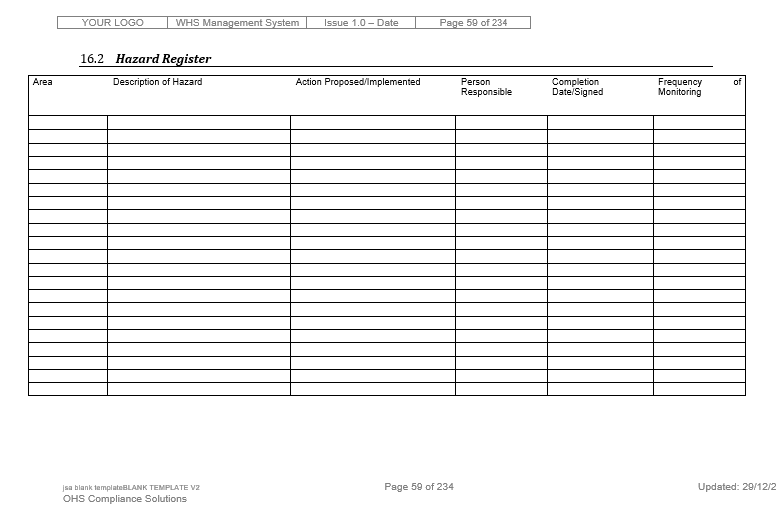 The manual includes all of the policies and procedures required for a sole trader. 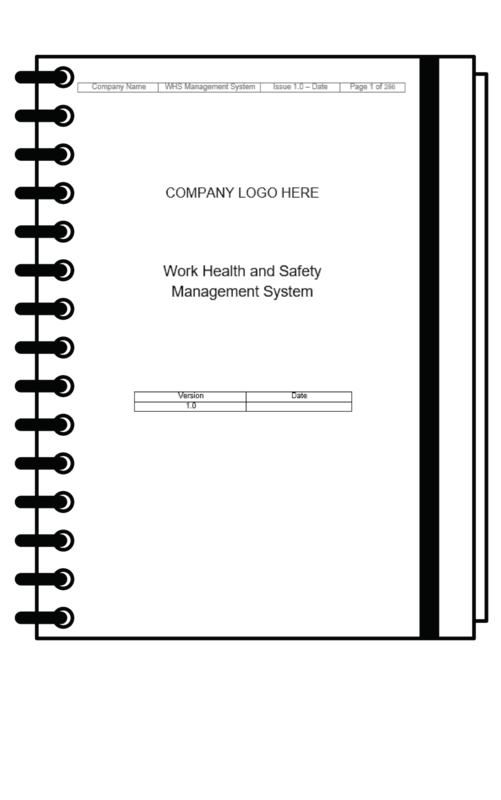 If you have employees, or will hire employees in the future you will need our Comprehensive WHS Manual. 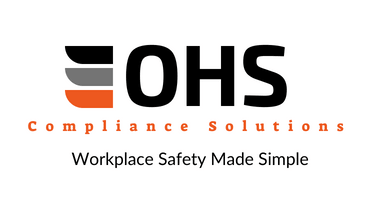 The manual will be customised to suit your specific state of operations within Australia – we can also customise the manual to suit New Zealand legislation. 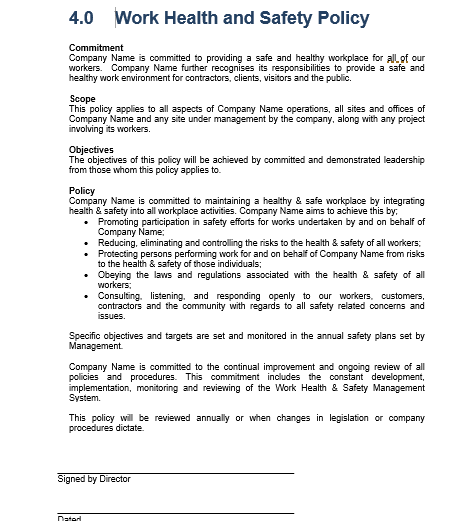 In addition, we customise the manual to suit the type of work undertaken. The manual is in Microsoft Word format, is fully editable and is emailed to you once it has been customised. 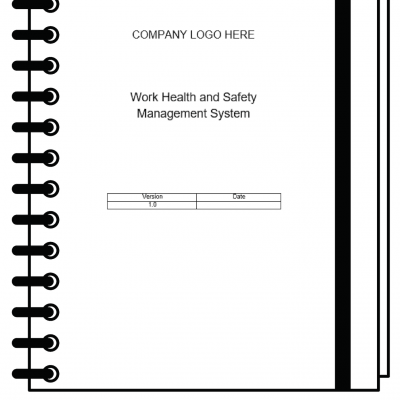 This manual is suitable for businesses that are sole traders. If you are a Sole trader the Customised Sole Trader WHS Manual will enable you to quickly and easily meet your customer and legislative requirements, without the additional paperwork relating to employees. The Manual is customised to suit the nature of your work, and is sent to you in Microsoft Word format so you can easily edit it going forward. The manual is compiled and emailed within 24 Business hours from the time your order is placed. 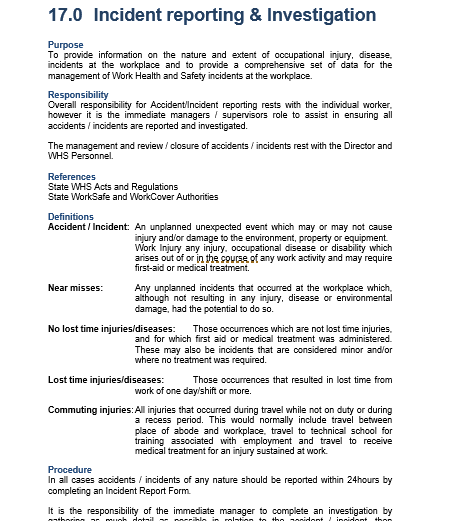 Our Customised Sole Trader WHS Manual has a large range of standard inclusions and additional procedures as outlined below. The Standard inclusions come in every manual purchased, and we customise the manual using the additional procedures as relevant to your business.